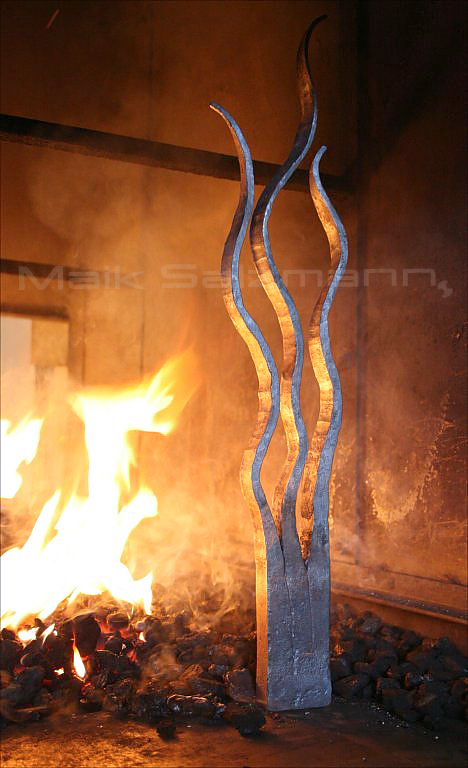 Rated best piece (95,3%) in 2009 blacksmiths finals in NRW, awarded with the first price of Sparkasse Aachen for outstanding achievements in the journeyman finals (comes with 1000 Euro prize money). Shown at the international crafts fair in Munich 2010 on invitation of the German Federal Association of Metal. Would have competed with other finalists on the federal level, but i was "too old" according to their rules. 3 Rods "nothing added, nothing taken away"
Object I made in design class: use 3 rods of any kind and join them to each other, nothing added, nothing taken away. 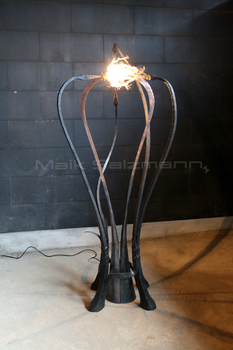 Steel, forge welded, hight: 550 mm.